Upon the death of a loved one, the last thing you will want to do is pay the final taxes on the decedent’s estate assets. Morris Hall Accounting is staffed with certified public accountants who work closely with your Morris Hall estate planning attorneys and Morris Hall Financial specialists to cover all of your tax accounting and preparation needs. Whether you are an Morris Hall estate planning client, or simply need experienced, knowledgeable tax and accounting services for your personal taxes, estate taxes or business taxes, our certified public accountants are ready. 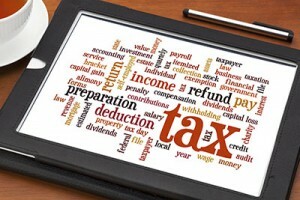 How Will Your Estate Be Affected by Estate Taxes? There are two types of death taxes: federal estate tax and state inheritance tax. Under current federal law, the estate tax has been repealed. Under the current law, in 2011, estates of a value of only $1 million dollars will be taxed up to 55 percent of the asset value. Estates under $1 million dollars are exempt from federal estate taxes, but your family will probably not avoid state administration fees and costs completely. Administration expenses under state law and federal estate taxes have nothing to do with each other. For individuals and families with more than $100,000 in financial or property assets, a living trust is one of the most important instruments for protecting against creditors, judgments, and ex-spouses. By protecting your assets in a trust, you can also avoid the Medicaid (ALTCS) spend-down requirements for long-term care. Contact us to arrange a consultation with an experienced tax accountant today. Our offices are located in Phoenix, Tucson, Albuquerque and communities throughout Arizona and New Mexico.